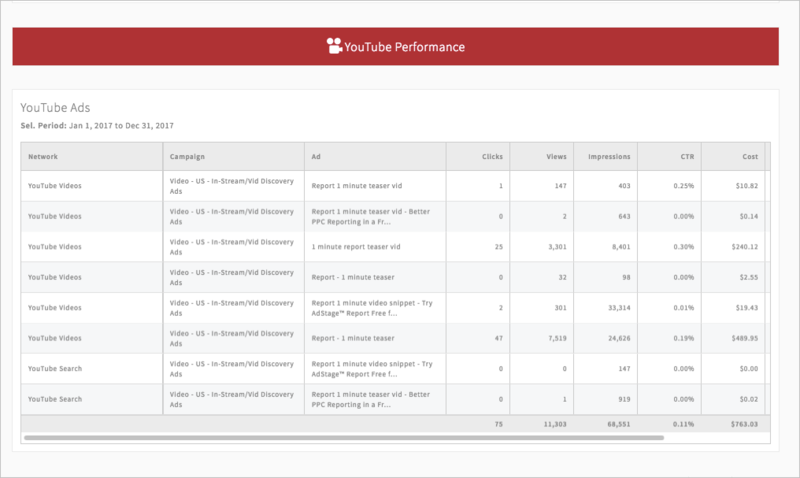 YouTube campaign data is available in AdStage Report and is best visualized in the AdWords Direct widgets. You can also see YouTube performance data when looking at the Account level in the Cross-Network widgets. There are two ways to bring your YouTube data into your Report dashboard. The first is to simply create a Video Performance Report with an AdWords Direct Table widget. 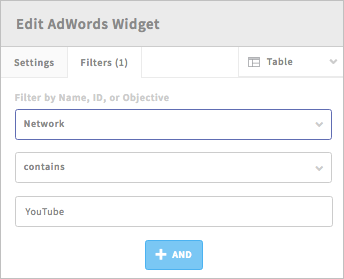 The second way to visualize your YouTube data in Report is to create an AdWords Direct table and use the Filters tab to filter by Network. Have questions about finding your YouTube data in AdStage? Reach out to us at support@adstage.io.